Many thanks to agrof for the opportunity to see his car and for his help making this video. 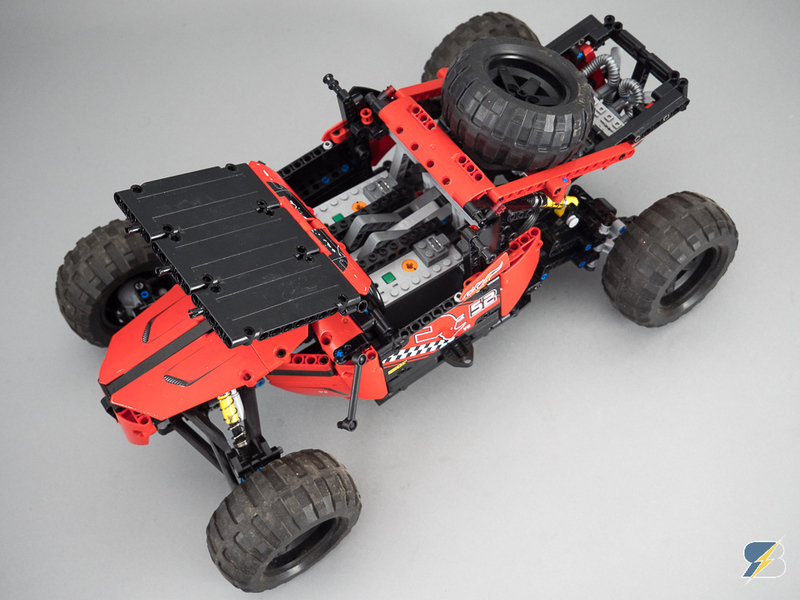 You can find below some images of the car and the description of the changes I made. 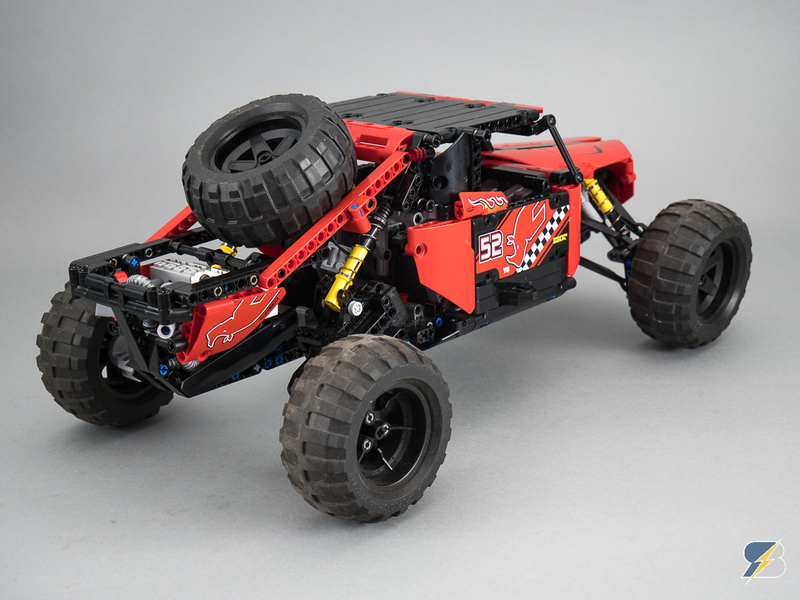 Obviously the biggest change was to swap the 2 L motors with buggy motors. 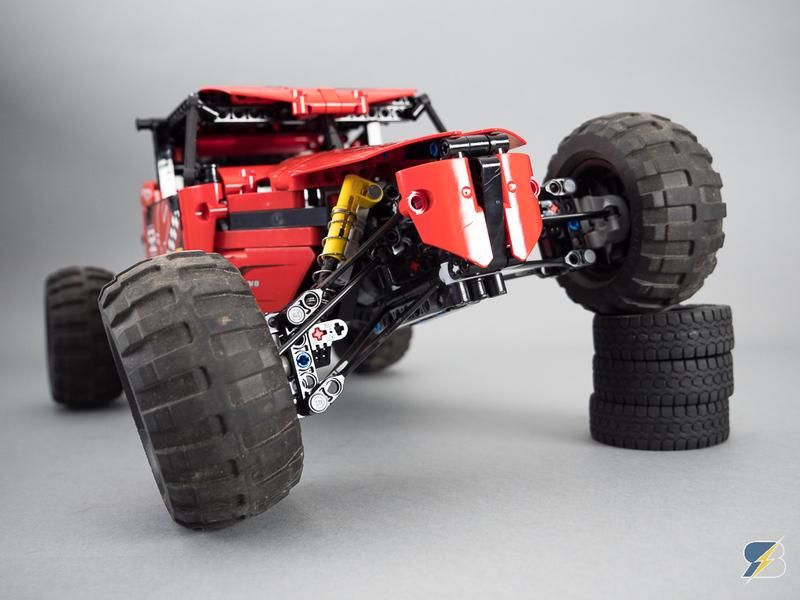 To integrate the buggy motors I had to rework the rear suspension as well. The IR receivers were replaced with SBricks. 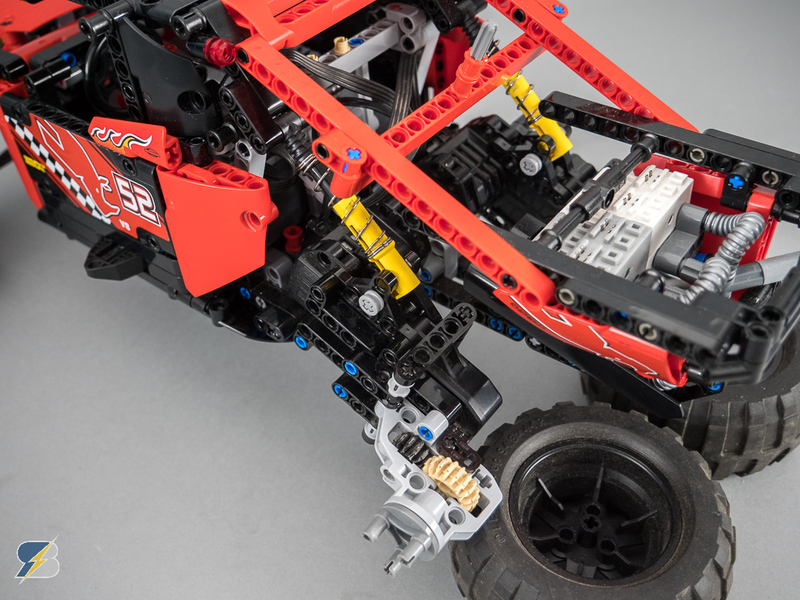 The front suspension is the original setup. I had to rework the front of the car to be more robust and survive the high-speed crashes. Unfortunately I had to remove the interior to create space for the BuWizz units. They are secured with a system that allows quick removal. 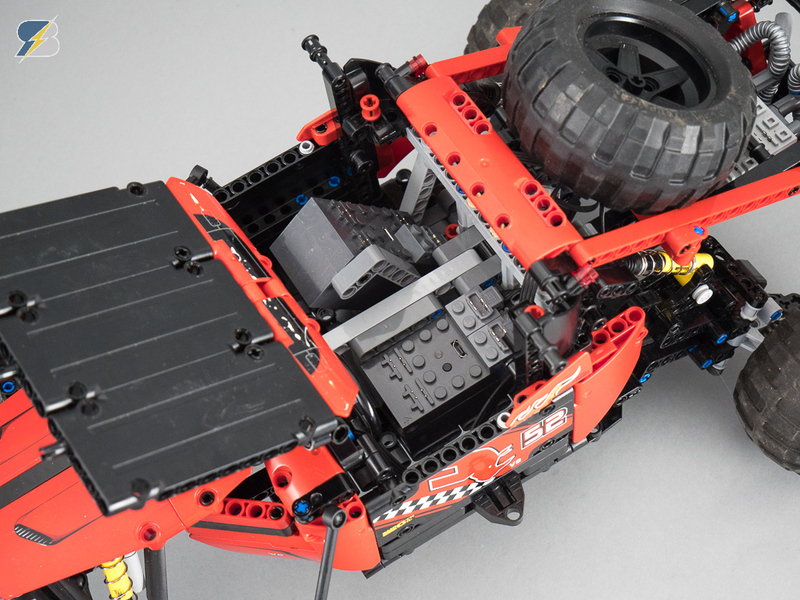 As you see it is easy to replace the BuWizz units with Lego LiPo or AAA battery boxes. Usage of these power sources is recommended only on flat surface with the buggy motors, otherwise the protection kicks in and the car slows down. 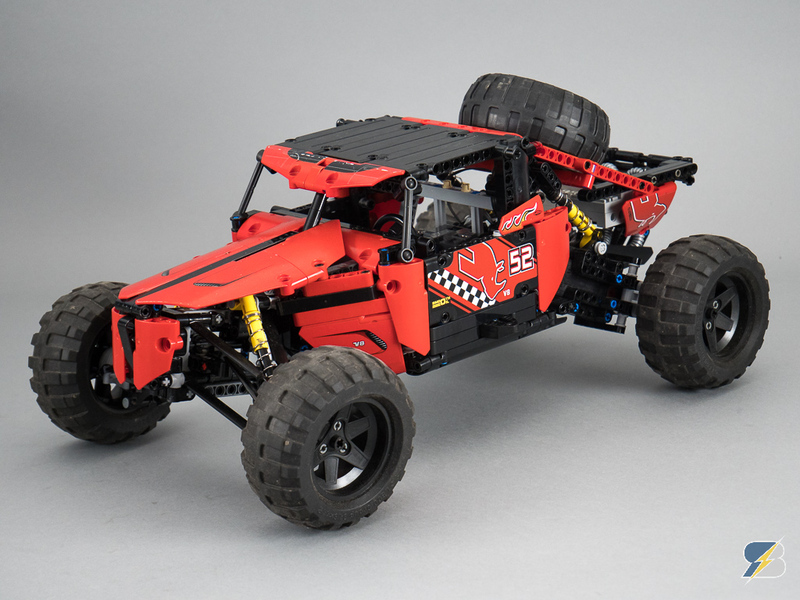 The slower output of the buggy motors is used and it is geared down for optimal performance. 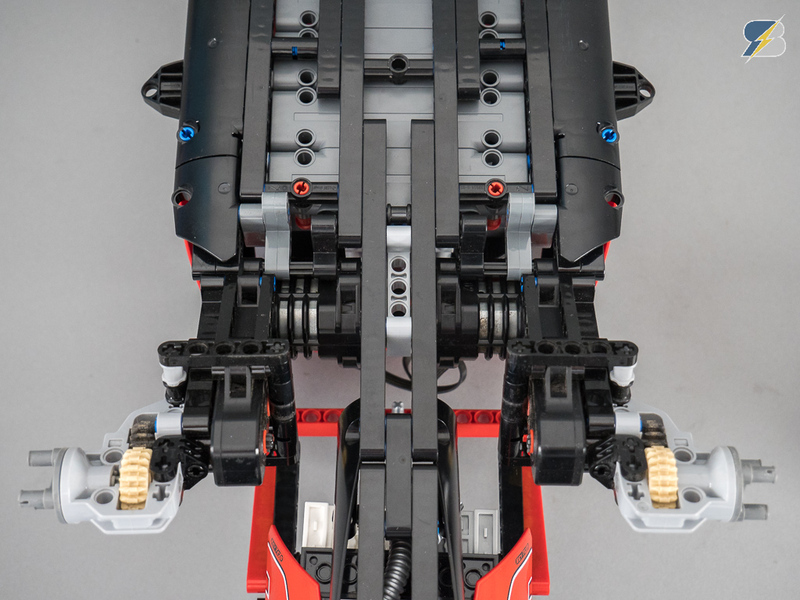 Details of the buggy motor integration. 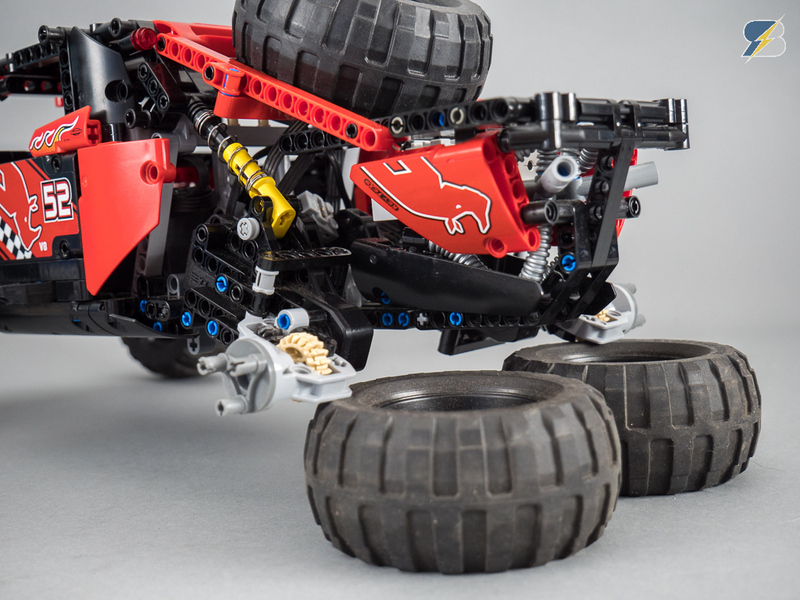 agrof, buggy, Buggy motor, BuWizz, Lego, mod, Rebrick, Technic. Bookmark.